Sleek, straight and run your fingers through it kind of hair is something we all (or at least I am) trying to achieve day after day. I like to keep my hairstyle simple and sleek, just like what you would expect from my daily uniform: a tailored blazer, crisp white shirt and a little playful flare. 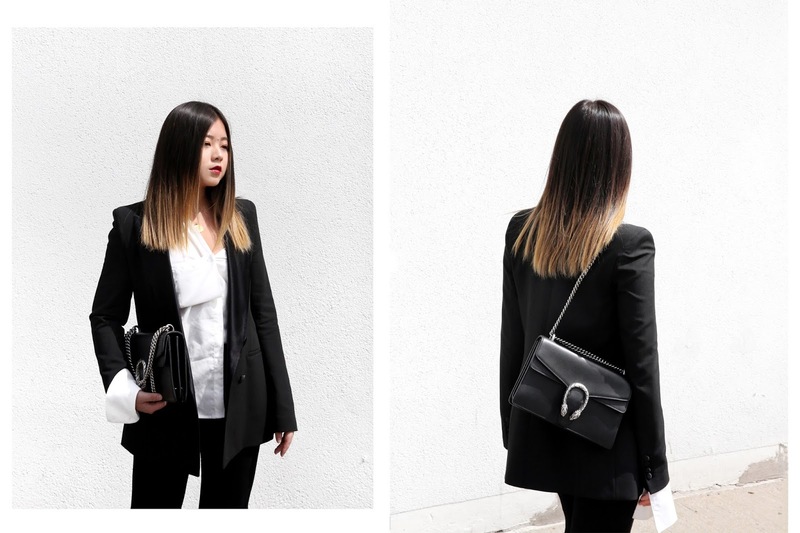 Being my own boss comes in handy since there is no strict work attire, but with all the events and business appointments in between, it’s better to dress up like you mean serious (stylish) business. And the key to this look is to top up with sleek and straight hair. 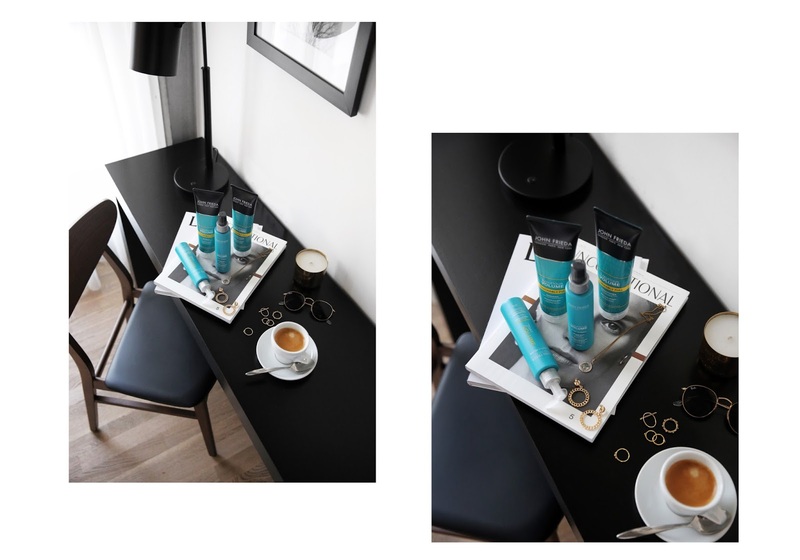 Here I’m partnering up with John Frieda Canada to share with you guys a few simple steps to easily achieve this silky, sleek hair at home. it helps bring my fine hair alive with texture and movement and gives my hair a good bounce and body. Which also sets a good base to any hair styling. 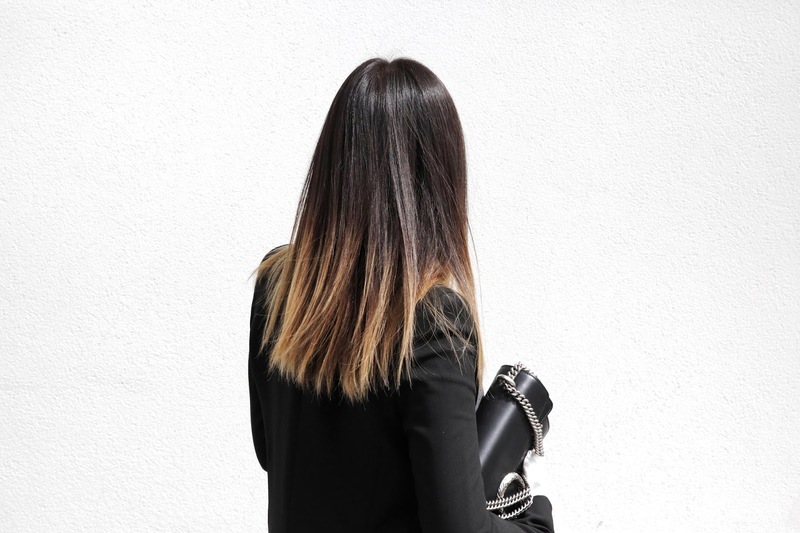 Let’s be honest, nobody wants flat and dull hair even for the sleek and straight style. I love starting my morning off washing my hair as much as I love having my morning coffee. I’m currently using John Frieda® Luxurious Volume® Touchably Full Shampoo and Conditioner. 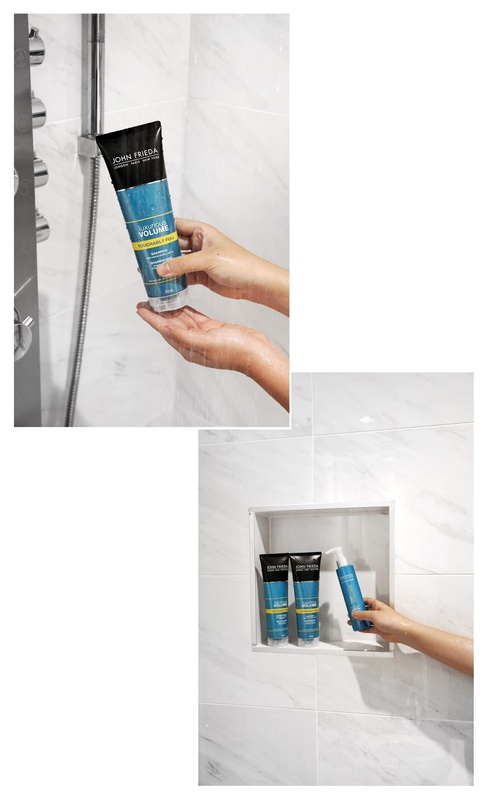 The combination of these products set foundation in shower so I can effortlessly achieve enough body while leaving my hair vibrate and smooth. 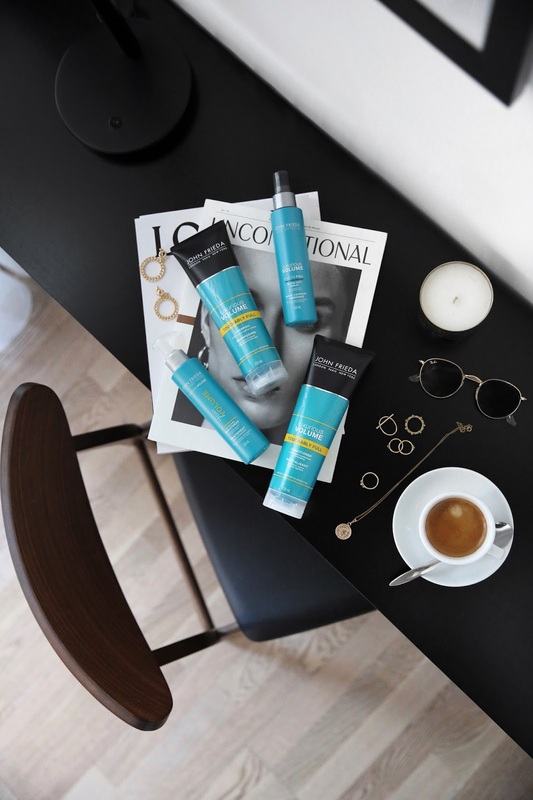 After washing and conditioning my hair and while still in the shower, squeeze out excess water from the hair and apply 3-4 pump of the John Frieda® Luxurious Volume® 7 Day In-Shower Treatment. Make sure to cover the full length of the hair, and rinse off after 3-4 minutes. This treatment is infused with Keratin and a proprietary cationic gel technology which creates full-bodied style for a full week of volume. 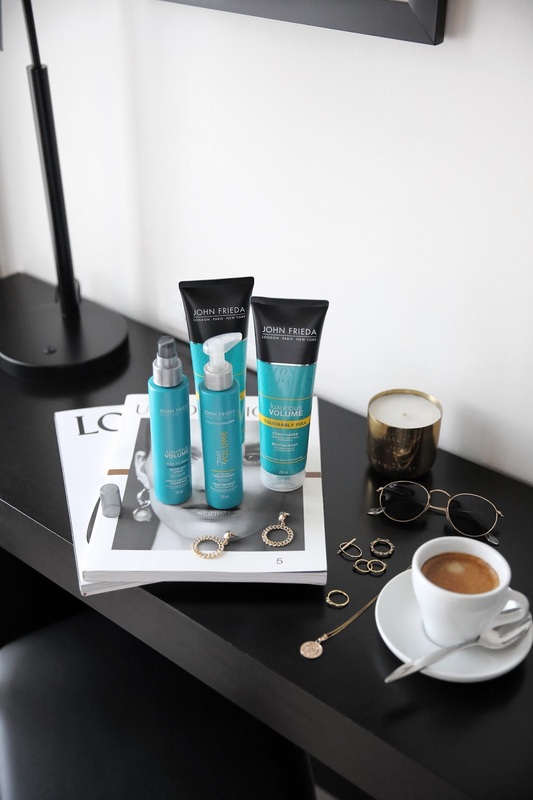 Once out of the shower, I spray the John Frieda® Luxurious Volume® Forever Full® All-Day Hold Hairspray on my towel-dried hair while running my fingers through my locks so the hair is fully covered from root to tip. This step gives an extra texture and thickness to the hair and now ready for styling. Make sure to use a blow dryer to fully dry the hair. Although I normally leave my hair to air dry, this step is essential before using the straighter. 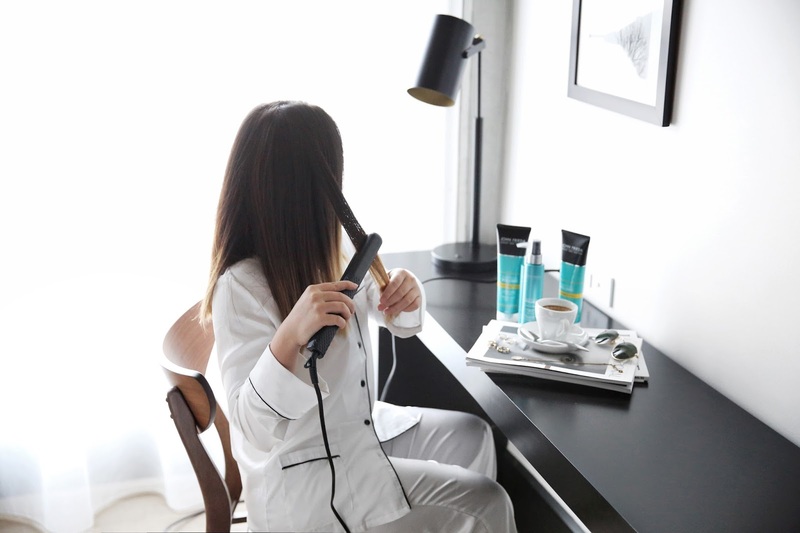 And when the hair is fully dried, straighten one to two-inch sections of hair at a time with a ceramic-plated flat iron until fully straightened. And this is it! With hairstyle so fresh and sleek, only a red lip is simply needed to finish this look off. Throw on your best business wardrobe staples and all your girl bosses out there are all set to go.